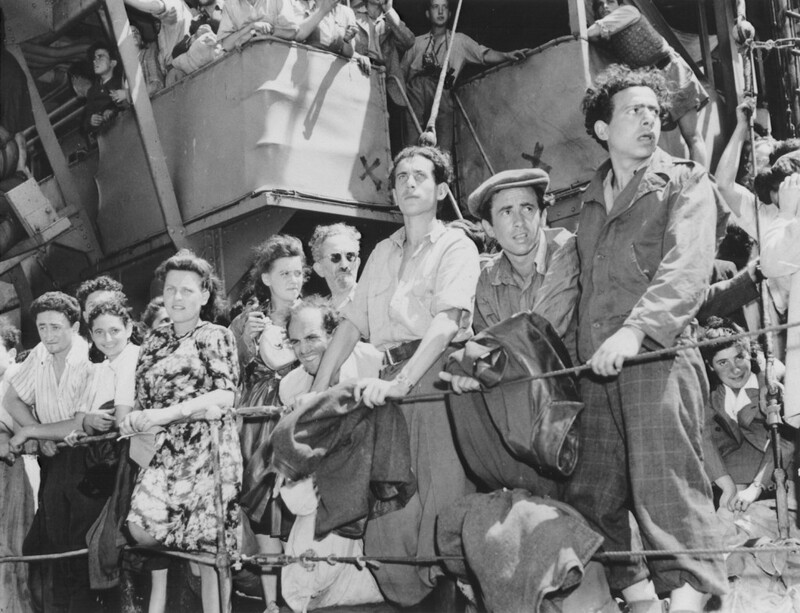 Refugees crowd the rail of the Aliyah Bet ("illegal" immigration) ship Josiah Wedgewood, anchored at the Haifa port. British soldiers transported the passengers to the Athlit internment center. Palestine, June 27, 1946.